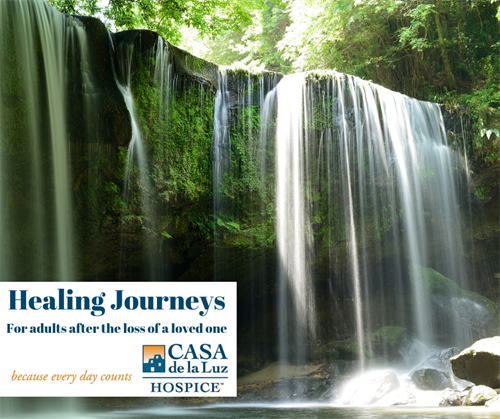 Healing Journeys Support Group is an 8 week group for adults after the loss of a loved one. Registration is required. Please call the Bereavement Department at (520) 544-9890 for information, registration and /or directions. **All groups may not be offered if there is insufficient enrollment. Please call or email Sally at (520) 544-9890, SallyS@casahospice.com for information, registration and/or directions.